… till the signing event I’m doing at The Grove Bookshop, Ilkley to launch their children’s story writing competition. Come along at 10:30am on Saturday 13 July to buy The Finding of Freddie Perkins and/or get your copy signed… and if you’re a budding young writer, check out the competition details below! Today I had the great privilege of going into Ilkley Grammar School to meet and speak to their newly formed creative writing group. I was so encouraged to see twenty plus students and a number of teachers coming together to encourage each other to write. And to meet a modest but obviously gifted young author who had just won a national competition. It’s great to see schools being so proactive in exploring creativity and nurturing talent. Inspiring stuff. I hope to visit again soon. Meanwhile, I’m looking forward to reading some of their writing as a number of the younger members are hoping to enter The Grove Bookshop, Ilkley’s children’s story writing competition later this month. 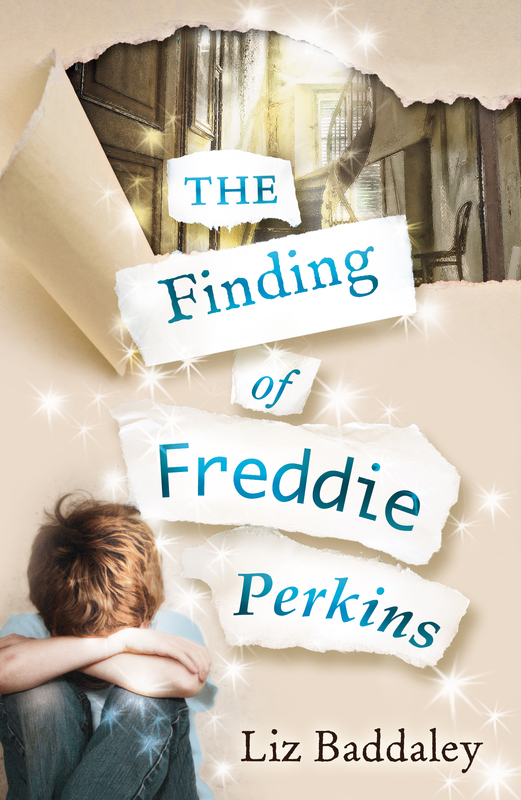 Excitement is building… it’s only a few days until The Finding of Freddie Perkins is released. One of the things I’ve loved about the whole process of writing this book and seeing it get published is the number of people who’ve been involved – encouraging me and helping me. And now – sharing in the anticipation of 23 May and Freddie’s arrival with us all. I promised I’d share as much as I could on this blog and so I want to tell you a couple of my favourite stories from the last few days. The first is about a lovely little girl I know who lives in York… Her family have all known about the book since it was first submitted to A&C Black with high hopes. And her mum is a teacher who was on my team of manuscript editors. So Freddie has been long anticipated in their house. They even helped me pass some of the anxious waiting time last year when I was holding out for a final decision from the publishers by inviting me over for the afternoon… we watched a dramatisation of J.K. Rowling’s life together. It was surreal but lovely. And also strangely comforting because it reminded me just how remarkable it would be if the book was to get published. How sweet I thought when I read her email… until I saw that her follow up was to say she wanted to be the only person to have a copy. It feels slightly mean to not want a child’s dreams to come true, but in this case I do hope she isn’t the only girl to own the book! She kept deliberating whether to read it or not before it was a proper book. She is also a busy lady… in the end, she decided to wait. Anyway, as the excitement in our little community built to fever pitch this week, she decided she couldn’t wait any longer. So she gave in and read the book. Half-way through our phone call, when she was telling me all about her reactions to the story, I happened to mention that another friend had received her copy early from Amazon. Freddie had been sat quietly on the side all that time!